Pennington is pleased to offer this three bedroom terrace house situated to the east of the town centre. The property offers entrance porch, living room, dining room, kitchen with electric cooker, Downstairs bathroom with toilet, wash basin and bath with shower over. Landing two double bedrooms and one single bedroom. Outside small front garden and rear garden with garden shed. Double glazed throughout. This landlord does not accept pets, smokers. EPC Band C. £695 PCM plus a one off payment of £90 per adult (reference fee) and £150 (tenancy preparation) per property. If a Guarantor is required we charge £90 (reference fee) All fees are inclusive of VAT. All our properties also require you to pay 1 months’ rent (Approximately) in advance and 6 weeks deposit. At the end of the contract if Pennington carries out the Final Inspection we charge £60 for the check out. This property is marketed by Pennington Surveyors Limited , Ipswich at £695 per month. Rightmove has calculated the price per week for comparison purposes only. Property reference 2477826. The information displayed about this property comprises a property advertisement. Rightmove.co.uk makes no warranty as to the accuracy or completeness of the advertisement or any linked or associated information, and Rightmove has no control over the content. This property advertisement does not constitute property particulars. 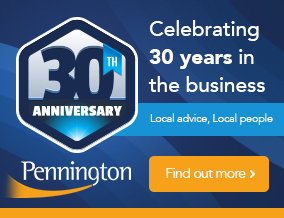 The information is provided and maintained by Pennington Surveyors Limited , Ipswich.